I’ve shared my blog posts on so many social media channels, and to tell you the truth, most of them were a complete waste of time. That’s why I’ve compiled this list of tested places where you can promote your blog. Just promise me one thing, though. Promise me that you won’t spam these places I’m about to show you. Hey, I know you won’t. And I can tell you’re a fine blogger because you’re reading this post seeking to know true places to promote your blog that’ll actually reflect in your Google Analytics. You’re not like them, right? That’s why I want to let you in on this private secret. Out of all the places to promote your blog I’m going to show you, you’re allowed to ‘spam’ only Viral Content Bee. Don’t worry, we’ll get to that and I’ll explain. Before we start, why not quickly download my Traffic Blueprint For New Blogs so you can master Pinterest and start driving traffic from this thriving platform. Is your blog not growing fast enough? Learn how to exponentially grow your following and traffic on Pinterest. Start seeing traffic spikes in weeks after following the strategies that worked for me in this guide. Is on it's way to your email. Cheers! ...so you could build up your email traffic base and email your subscribers anytime you have a new blog post up. ConvertKit is the email list building tool I recommend for bloggers aspiring to go professional. You’ll notice that I didn’t make mention of Facebook in this post. That’s because I’ve never really gotten substantial traffic from it. Not that I wasn’t active on several Facebook groups or open a Facebook page, I did all that. It’s just that the organic reach of Facebook is incredibly low. Haven’t you noticed that the Facebook page of a popular brand might have 800,000 followers, yet gets an average of 2043 likes and engagement on a typical day? It’s because Facebook posts only reach 2% of your followers. Heck, some bloggers even run paid ads to their own followers. Followers that they ran paid ads to get in the first place. It has become a ‘pay to play’ environment and it just doesn’t sit right with me. If big brands get such a small fraction of post visibility and engagement from their own followers, what about a smaller brand with a Facebook page of 5000 followers? They’ll get an average of 206 likes and engagement from each post on a good day. So Facebook is not a platform I recommend channeling your marketing efforts into. There are other promising platforms with a higher organic reach that generate far more traffic with less hassle. This is the point where I answer the question of where to promote your blog. Instead of trying to be a pro at all the social media platforms at once, just pick one of these first, preferably Pinterest. You master it by testing and documenting the best day and times to send out a post, as well as what kind of content works best for each platform. Keep stacking up more platforms in your blog promotion arsenal as your social media competence grows. Pinterest keeps becoming a better option for bloggers day by day. Thousands of bloggers are raving about this one performing platform. They can’t all be wrong. While some have seen more results from Pinterest than others, almost every blogger have had Pinterest show them traffic love, no matter how little the traffic. After Google, Pinterest is my next major source of traffic. I’m going to show you all the steps to get started as a pro on Pinterest. First, sign up for Pinterest. Next, you upgrade your personal account to a business account. The business account contains analytics that provides insightful information. With that, you can monitor which of your Pinterest strategy is working and do away with the ones that aren’t working. Then you claim your website. You’ll have a dofollow link to your blog displayed in your Pinterest profile after you’ve claimed your website. Dofollow link passes domain authority juice from Pinterest, or any other website with a higher domain authority down to your blog, and increases your ranking position on Google search. To claim your website after upgrading to a business account, go to Settings>>Claim Website. Enter your website URL in the field provided and click the “Claim Website” button. After you click the button, Pinterest will provide two options of adding HTML code to your website. Go with the option of “Add HTML tag.” Copy the code somewhere, open a new tab in your browser and install Yoast SEO on your blog. After installing Yoast SEO, login to your WordPress dashboard. Go to SEO>>Social in your WordPress admin area. Click on the “Pinterest” tab and paste the HTML code you copied into the Pinterest confirmation field. Go back to your Pinterest screen and click the “Next” button. Pinterest will now request your site to be submitted for review. Click on the “Submit” button. Pinterest will take 24 hours to review your website. Once it’s done, you’ll receive an email that your site has been verified. Next, you’ll need to enable rich pins in order to make your pins professional and credible. Here’s what rich pins do. Unlike regular pins, rich pins provide extra details to pins you post on Pinterest, differentiating you from the normal Pinterest user, and providing more credibility to your brand. Enabling rich pins isn’t hard at all. All you need do is to head over to Rich Pins Validator and insert a link to any blog post on your website. Just be sure you’ve already added the HTML tag to your website using Yoast SEO. Your request for rich pins will be approved shortly. Now, you’ve set up your Pinterest business account, claimed your website, and sent a request to enable rich pins. All that you’ve just done is optimizing your account as a business professional to set up the stage for optimized growth in traffic and following, as well as viral pins. How do I get the most out of Pinterest? Are there any best practices I should know about? There are some important tips to implement if you want your account to take off and start attracting followers. Joining different group boards in your niche is an amazing way to improve your reach and followers on Pinterest. Group boards are regular boards where the board creators invite and accept new contributors to pin. If you wish to be a part of it, you can request to join the group board. Some group boards have a “request to join” button at the top of the profile, others don’t. However, every board has a board description that outlines the brief steps required to be a part of the board. It usually involves following the board owner and sending your request to an email or a direct message on Pinterest. It’s easy to search for group boards to join. Click on the “All Pins” dropdown button and click on “Boards” to see all the relevant group boards available. Some group boards accept new contributors, others are closed to new contributors. ​Ultimate List Of 95+ Group Boards is on it's way to your email. The more group boards you join, the more your traffic growth on Pinterest is multiplied. However, the traffic you're going to get from these 95+ group boards shouldn't go to waste. 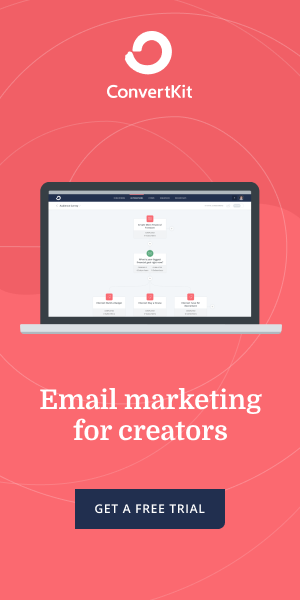 Start building your email list now with ConvertKit to convert as much visitors you get into email subscribers. Pinterest not only loves fresh and updated content, but it also loves regular and consistent pinning. You’ll see more results from Pinterest if you pin five images every day for a week than if you pin thirty images in one day and pin nothing for the rest of the week. However, logging in to your account to pin manually every day is overwhelming. Plus, you’re not a robot. You’ll inevitably skip some days for one reason or the other. That’s why you need the best Pinterest scheduler out there, Tailwind. You can schedule your pins for a week or two in advance using Tailwind, and focus on writing and promoting your blog posts. Sign up for Tailwind with this link to get $15 off your first payment plan. As a rule of thumb, I personally create a tall image ready for pinning to go along with every blog post I create. The number of Pinterest users has risen astronomically over the last few years. You never can tell if a Pinterest freak is reading your blog post, itching to pin any image in sight. Creating a ready-made, vertical image for Pinterest in your blog posts makes it easy for readers to pin your content and spread the word about it. To complement this strategy, it’s best for your image to have a “Pin It” button when a mouse hovers above it. Premium social sharing plugins like Easy Social Sharing Buttons and Social Warfare sharing button has a feature for the “Pin It” button to appear on image hover. If you aren’t using any of these social sharing plugins, you can easily install Pinterest Pin It Button On Image Hover And Post plugin and increase the viral potential of your blog posts. Did I forget to mention that Pinterest loves it when people engage with pins directly from your website? This is a super-smart strategy if you ask me. Product Hunt is primarily used to share and promote new products and startups. The platform allows users to discover new products they might be interested in. It’s also a good place to share your affiliate blog posts and pillar posts. You might be worried that the blog post you want to share isn’t about a product. There’s no need to let that disturb you. Products are explained most times with a blog post. A sales page is more often than not a blog post. As long as the blog post you’re sharing is valuable and actionable, there’s no cause for alarm. I currently share my top-performing posts on Product Hunt and receive traffic from them. To get started, head over to Product Hunt and sign up. You can sign up by logging in via Twitter, Google, Facebook, or Angel List. After you’ve created your account, you won’t be allowed to post to the platform right away. Click on the ‘+’ icon at the top-right corner of the page to know what to do before you can start posting. The current rule before a newly created account is allowed to post on Product Hunt is to wait for one week. This is to allow new users to familiarize themselves with the platform and learn how it works. Also, only personal accounts are allowed to make posts, not corporate or branded accounts. After one week, check back on Product Hunt and start submitting your posts by clicking on that ‘+’ icon. Indie Hackers is a community where founders and online entrepreneurs come together to share the stories behind their successful online businesses and receive helpful feedback from each other. Need I say that sweet traffic resides in this forum, as long as you deliver valuable posts and stay active. When I started blogging, I avoided sharing my posts on Indie Hackers. I always thought that it was exclusive to Indians because of the name, ‘Indie’. It all changed when I desperately stormed Google with the keyword, “where to share your blog post.” My blog was a month old and getting so little traffic that I almost panicked. Then I read a blog post where an American blogger recommended Indie Hackers and similar sites as good places to promote your blog post. So I checked out Indie Hackers and saw online entrepreneurs of all races providing support and sharing valuable content with each other. I immediately started sharing my posts and saw a decent amount of traffic coming from Indie Hackers in my Google Analytics. To get started, head over to Indie Hackers and sign up. Then you can start posting to the community. Make sure to follow influencers and content marketers that post content related to your niche. Indie Hackers is a community worth being active on. Hacker News is a social and technological news website where geeks and bloggers alike share content that gratifies one’s intellectual curiosity. The procedure to submit your content on this nerdy community is quite easy. All you need do is head over to Hacker News and click on the “submit” menu at the top of the page. You’ll be required to create an account if you don’t have one already. Quickly enter your username and password, then you’re good to go. Now, you’ll be redirected to the page where you can submit your post. If you’re including a link, fill the field for “title” and “URL” only and leave out the field for “text” blank. When you’re done filling the entries, click on the “submit” button. I’ll suggest you should be extra careful not to submit a post with the same link twice on Hacker News. Don’t spam, as it could activate stealth banning on your account. Once stealth banning is triggered, your posts will be hidden from other users, unknown to you. At first, you’ll be receiving nice traffic from Hacker News whenever you submit a post with a link back to your blog. And then all of a sudden, you’ll start noticing little or no traffic coming from Hacker News no matter how many blog posts you shared. If this happens, chances are you’ve been stealthily banned. It’s best to share a link to your blog post once and leave it at that. Having said that, Hacker News is a good platform to include in your blog promotion campaign. Reddit is one of the few places that come to mind when you think of sharing your blog post and getting instant traffic. It’s also the platform with the most vigilant moderators who are determined to make content shared in each subreddit as anti-promotional as possible. Some bloggers get chills in the process of marketing their content on a subreddit. In this territory, the fear of negative backlash is real. Want to know how to get away with little promotions here and there on subreddits? The key to promoting on Reddit is to interact as a non-blogger in the subreddits that are related to your blogging niche. Occasionally, you’ll find opportunities to genuinely be of help by linking out to relevant blog posts you’ve created. To get started, sign up on Reddit. Then you can join different subreddits that are relevant to you and start interacting as an active and valuable member. Mix, formerly known as StumbleUpon, is a web discovery site that shows recommended content to users. Photos, videos, blog posts that are pulled from popular collections and domains registered on Mix usually flood the display feed of its users. On June 30, 2018, StumbleUpon gave way to a new discovery platform called Mix. Some bloggers still aren’t sure if Mix can deliver the kind of traffic results that were seen with StumbleUpon. I never really used StumbleUpon to promote my blog posts. By the time I heard of it for the first time, they were already going by the name, Mix. I’m not in a good position to compare traffic results between StumbleUpon and Mix. However, I can tell you one thing. Mix is a good place to drive traffic to your blog. I’ve tried it and it worked for me. I knew it displayed as “(direct)/(none)” because I checked the pages that got traffic on that fateful day in Google Analytics and the pageviews were distributed almost evenly among the blog posts I shared on Mix. To get started, sign up for Mix using Facebook, Twitter, or Google. Posts are added to your collection(s) on Mix. You can have as many collections as you want on different topics. By default, you have a “General” collection immediately you’ve signed up successfully. To add posts, click on the ‘+’ icon at the top-right corner of the homepage. Next, you paste the link to the blog post you want to promote and click on the “Post” button. That’s pretty much how you promote your blog post on Mix. You can keep adding more posts as you see fit. Keep an eye out on your “direct/none” traffic source on Google Analytics to see how well it performs. Remember I told you at the beginning of this post that you’re allowed to ‘spam’ only Viral Content Bee, right? The system of sharing content in VCB allows you to promote a post over and over again if you wish. Viral Content Bee is a social media marketing platform that allows users to promote posts by earning credits. You could also buy credits if you wish. Credits are earned by sharing other people’s content on social media sites that are displayed alongside the content such as Twitter, Pinterest, Mix, LinkedIn, and Tumblr. Any blog post you want to promote is called a project. After you’ve earned enough credits by sharing people’s content, you can assign a specific amount of credit for your project. Let’s say you have 60 credits in total. You can assign 30 credits for a project to promote one of your blog posts. Once the assigned credit is exhausted, your project stops being promoted. Other users stop sharing your content as it’s not being displayed by VCB. That doesn’t mean that you can’t earn new credits and add it to the project that’s low on credits. When you earn new credits and assign some to old projects that are low on credits, you kickstart the promotion campaign all over again and get your projects on the front page of Viral Content Bee. It’s kind of like spamming in a way, right? Only that it’s completely legit and proper, if not smart. So how do you get the most out of Viral Content Bee? People are going to share your promoted posts to earn credit for themselves, just as you would share their content to earn credits. To get the most out of VCB, login to your Twitter account. Go to your Notifications>>Mentions and you’ll see a list of people that have shared your content on Twitter from VCB. Any of your content that was shared from VCB will have a link that looks like “vcb.bz/2y” in the post caption. Now, you’re going to like your blog post they shared and follow them. Follow your promoters and have some follow you back. Herein lay the second power of Viral Content Bee. It’s a useful platform for building up your social media following, aside from promoting your blog posts. To get started, join Viral Content Bee here or sign up with Twitter. After you’ve joined, you’ll need to earn credits in order to promote your first blog post. Head over to your dashboard tab and share posts with Pinterest. Except you have a strong social media presence on Twitter, Mix, and LinkedIn, you may not be allowed to share posts on those platforms. Viral Content Bee only allows users to share freely on Pinterest without an established account. So, if you have a Twitter account that has above 400 followers, you might be able to share content on Twitter. I’m going to assume you have zero social media presence, and we’re going ahead with Pinterest. You earn 4 credits for every post shared on Pinterest. Usually, I like to assign 30 credits for a blog post I intend to promote on VCB. To earn credits, head over to your “dashboard” tab and click on the “Pinterest” button below the displayed content. You could use Twitter if you have an established social media presence over there. Click on “Pinterest” and a new tab will open showing you a list of your boards. Choose the board you wish to pin the image to. Select the board you where you want to pin the image. Click on the “See It Now” button and copy the URL of where the image was pinned to. Alternatively, you can right-click the “See It Now” button and copy link address. Go back to your Viral Content Bee tab and paste the Pinterest URL into the field provided in the lightbox. Paste the link and click on the “Submit” button. You’ve just earned 4 credits. Go back to your dashboard and repeat this process until you’ve earned your desired number of credits. To submit a blog post for promotion, click on “Add Project” beside the dashboard tab. Fill in the information for the blog post you want to promote and assign credit in the “Project Budget” field. Then, click on “submit.” Your project will be held in a queue and a moderator will approve it shortly. Remember that you can always add more credits to projects that are low on credits. If you assign 30 credits to a project, it’ll be in the front page of Viral Content Bee again, receiving more shares and visibility. That’s how blog posts promotion on Viral Content Bee is done. Twitter is the cooler sibling of Facebook. You have the potential to find quality leads and clients from this social media network. Here are a few tips to gain followers on Twitter. Use related hashtags for blog posts you want to tweet. Two to four hashtags on a single post are okay. Use @mentions to increase the reach of your tweets. The person you mentioned will see your tweet in his notifications, and will likely retweet it. Tweet consistently. Avoid going silent on Twitter for too long. Spread out your tweets to send at different times in a day. Always make sure to follow anyone who mentions you or retweets your post. If you consistently use Viral Content Bee, you’ll consistently have ‘mentions’ on Twitter. When you’ve gained your first 100 followers, you’ll start seeing little traffic coming from Twitter. Blog Post Vote UP is a publishing platform for bloggers to submit links to their current blog post, as well as to find interesting content to quench the reading appetite of its users. You can only submit one link a day. It’s probably a protection measure enforced to guard against spam. Head over to Blog Post Vote UP to submit your latest blog post. Click on the “Add new blog post link” button. You’ll be taken to a page where you’ll be required to register before you proceed. After creating an account, you can now paste the link to your blog post. These platforms mentioned above are the places where I promote each of my blog posts. Out of all of them, you’ll eventually find out that Pinterest drives the most traffic to your blog. Wouldn’t it be a smart idea if you can quickly master and scale the growth of your brand on Pinterest? Get my Traffic Blueprint For New Blogs where I explain my Pinterest strategies in detail. Bryan shares strategies currently working for him in growing his blog, from generating more traffic to increasing page rank on Google. When he's not in front of his laptop, you can be sure he's out there playing table tennis. Hey Brian, very informative posts you got here, you even have the screenshots and detailed steps. Never knew about StumbleUpon’s new rebrand, Mix, so I’m signing up now. Thanks, keep it up! You’re welcome Camille. Way to go. Thank you so much for this info. I’ve already made note of which ones to start on today! Copyright © 2019 · OfficialBryanGrey.com · All Rights Reserved.